Rafael is a seasonal orchard and vineyard worker from Northern California. He works picking pears, cherries, peaches, and grapes. Two years ago, he began experiencing vision challenges at work and at home. He was seeing black spots or floaters and would rub his eyes to help him continue working. Gradually, this condition worsened and he would have to rest for 3 hours before being able to continue picking. The pain in his eyes caused him difficulties concentrating and thus, risking his safety while climbing the ladders to pick in the orchards. California AgrAbility staff met Rafael at a festival at the Yuba City Fairgrounds. His wife encouraged him to share the vision challenges he had been experiencing. Staff quickly referred him to a program of Lens Crafters to make the earliest appointment for an eye exam. Since there was no Spanish speaking representative at this location, staff accompanied Rafael to help translate. The optometrist checked Rafael’s eyes and found that he was near sighted which explained the pain he experienced due to muscle strain. The floaters he was seeing was due to protein buildup that floats in the liquid of the eye. The optometrist prescribed Rafael new glasses and eye drops until this condition cleared. 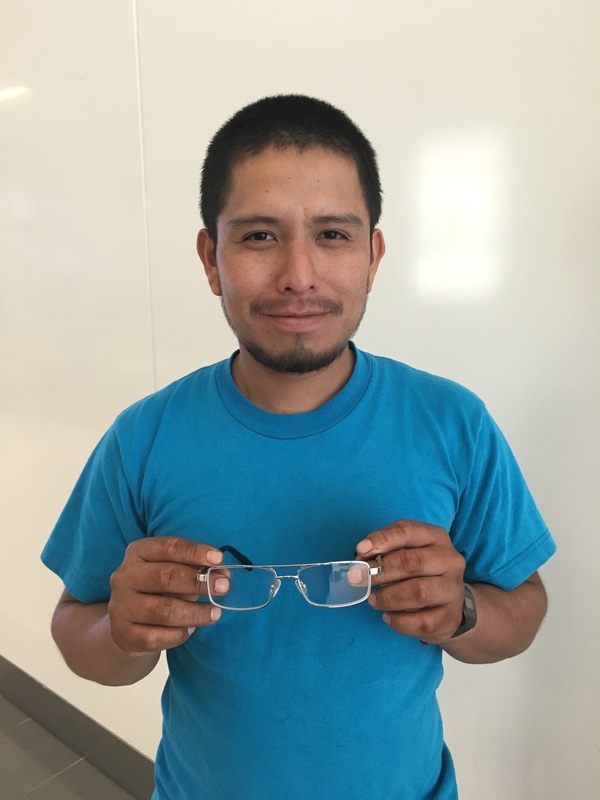 Using his glasses, Rafael is now able to work without pain. He also bought sunglasses which fit over his glasses to keep his eyes safe while working outdoors for a long period of time.